For 45 years the Portland Marathon has been welcoming participants to the beautiful Pacific Northwest. Accolades from Runner's World Magazine include: Best US Race in October, Best in the Northwest, Best Marathon for First Timers and the most Walker-Friendly Marathon in the Country. Our course is fast and forgiving, with more entertainment per mile than other events, along with excellent volunteer support, and great goodies at the finish including: a mint-struck finisher’s medal, a performance shirt, a tree seedling, a challenge coin and pendant, to name just a few! Please join us for perfect fall weather and a most memorable marathon experience! The packet includes timing chip, bib number, souvenir program and assorted items. The Expo focuses on health and demonstrations, sports medicine and fitness programs, innovative fitness clothing, shoes and training aids and periodic free lectures by noted specialists. 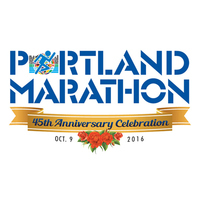 The Expo is also the place to buy your Portland Marathon souvenirs, and the sign-up for the Clydesdale/Bonnydale division ($5 cash fee). The Portland Marathon Kid’s Fun Run & Sports Festival will take place Saturday. Participation is open for kids’ ages 2-12, and parents are invited to run along with! Last minute sign ups may be available at the Expo Friday! Sunday, October 9, 2016 – RACE DAY! Marathon Run/Walk and 1/2 Marathon Run/Walk begins as a multiple wave start!